The Dragon of the East is a legendary animal associated with fluid energy. It is said to influence weather and moving bodies of water. 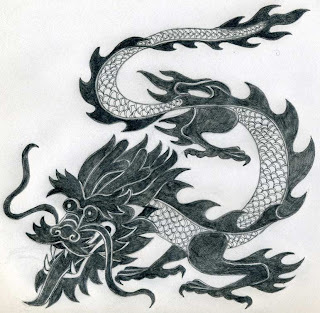 In old China, the Dragon, known as Lung, was a symbol of Imperial power and the emblem of the Emperor. The Imperial Throne was known as the Dragon Throne. The Chinese Imperial Dragon has five claws (toes), the Korean four and the Japanese, only three. The Dragon is also one of the four celestial guardians. They are: Azure Dragon of the East, Vermilion Bird of the South, White Tiger of the West and Black Tortoise of the North. These four guradians also represent the four meridians and are associated with the four elements: Wind (Dragon), Fire (Phoenix), Water (Tiger) and Earth (Tortoise). In India and Southeast Asia, the Dragon is known as the Naga. The supreme Naga is Anantha-Sesha, the symbol of time and eternity, and brother to Manasha, goddess of snakes and fertility. Nagas live in Patala, the seventh and lowest of the nether realms. The are four types of Naga or Lung: the Heavenly Naga guards the celestial palaces; the Divine Naga brings rain to the earth; the Earthly Naga guards the mineral resources under the earth, and the Hidden Naga, is the naga spirit. Female naga are called Nagini and can shape-shift into beautiful women who seduce men into the watery depths. In the Harry Potter books, Lord Voldemort's familiar (called Nagini) is probably a Nagini. Nagas are fierce enemies of the Garuda, a race of bird-men. 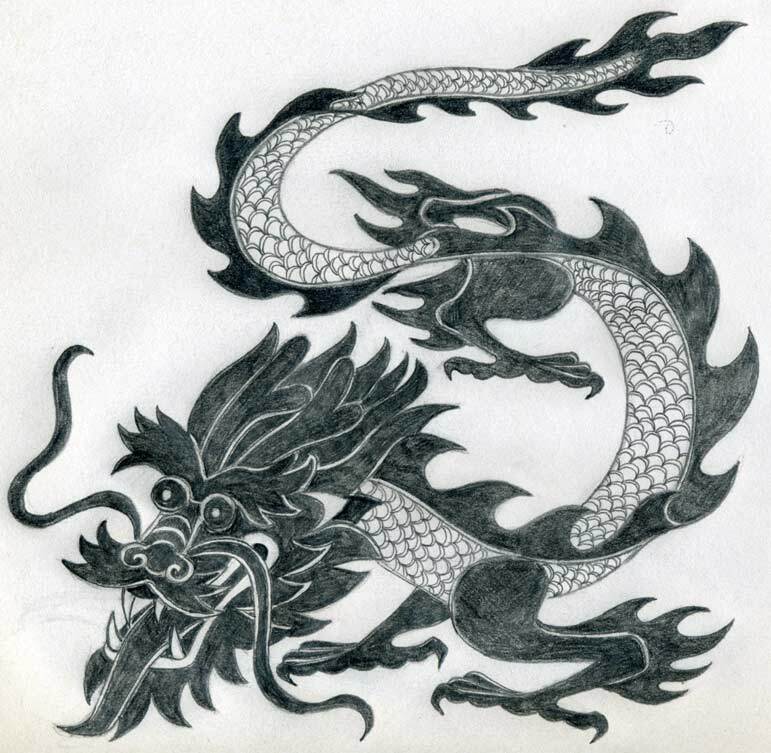 The Dragon is a symbol of auspicious power and success. However, it also has a dark and destructive side and can cause catastrophic floods and tsunamis. In the second TV series of Lost Girl, Lachlan the Ash (king of the Fae) turns out to be a Naga. The Fae world is divided into Light Fae and Dark Fae, two factions who are constantly battling for dominance. It eventually emerges that the Ash is a Light Fae, despite his manipulative and ruthless nature. Not surprisingly, he had to battle the Garuda, an extremely powerful Dark Fae. As the battle with the Garuda draws closer, Lachlan must convince Bo, the beautiful and fiesty but non-aligned succubus, to help him against this formidable foe (the succubus mostly side with the Dark Fae). Although the Garuda actually kills Lachlan in their final battle, Bo and her allies manage to kill the Garuda with the venom obtained from Lachlan, in his Naga incarnation. In the series, Lachlan, a character I love to hate, is played by Vincent Walsh; Anna Silk plays the gorgeous but surprisingly vulnerable Bo (Beau). Her best friend is a human called Kenzi played by the gothic Ksenia Solo. The love of Bo's life is Dyson, the shapeshifting werewolf who is also a Light Fae, played by Kris Holden-Ried. You might remember seeing Holden-Ried as the monstrous Lycan (what else? ), Quint Lane in Underworld: Awakening. 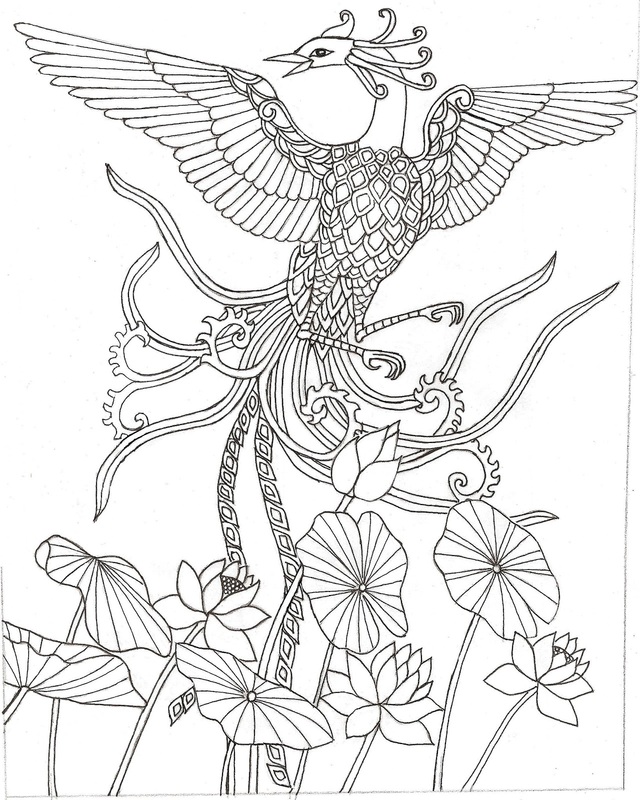 The Phoenix is a magnificent bird with feathers of vermilion and gold. It is a creature of fire and is sometimes depicted surrounded in an aura of flames. In Eastern culture, it is more likely to be surrounded by verdant plants and flowers. According to legend, a Phoenix will build itself a nest of cinnamon twigs when its life is about to end. The dying Phoenix will rest in the middle of the nest and ignite it; both the nest and bird will burn into ashes. Then the ashes will burst into flame again and a new Phoenix will be reborn from its ashes! This fabulous bird is called Feng Huang in China; it is the second most important legendary animal, after the Dragon. It is also one of the four Celestial Guardians in East Asian culture: The Azure Dragon of the East, the Vermilion Bird of the South, the White Tiger of the West and the Yellow Tortoise of the North. 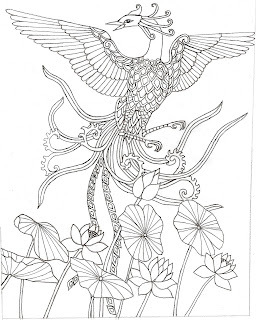 In ancient South-East Asia and India, two races of bird-like creatures were said to exist; they are the gentle Kinaree and the fierce Garuda. A similar bird-human hybrid called the Tengu exists in Japanese folklore. The Garuda and the Tengu are bitter enemies of the Naga and the Dragon as they feed on serpents. The Phoenix is the emblem of ancient Lebanon which used to be called Phoenicia. Its people were the Phoenicians, the people of the Phoenix. This legendary bird is also the emblem of the Empress of China. The Qilin is a chimera. This fabulous creature is an omen of great good fortune and blesses all who are lucky enough to gaze upon it. The Qilin has two forms - an ancient form of a fierce feline with dragon-like attributes and a more recent dragon-deer hybrid. 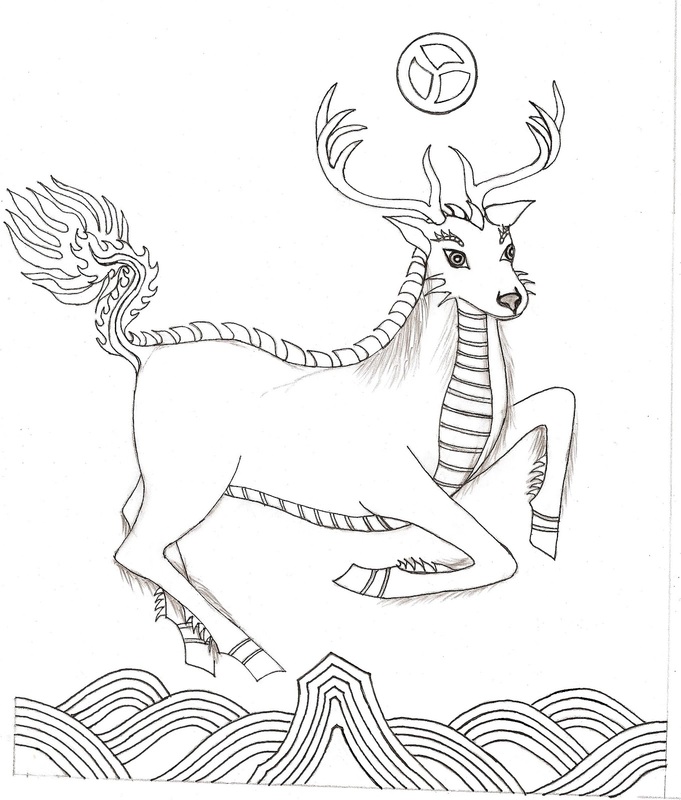 The Qilin is said to walk on earth and on water. It is a fierce guardian of the earth but does not harm any other living creature. It is said that the Qilin does not disturb even a single blade of grass when it walks on land. According to legend, a Qilin appeared before the birth of Confucius, and the sighting of a Qilin is supposed to herald the birth of a great sage or a wise and benevolent ruler. In Chinese culture, it is the third most important legendary animal, after the Dragon and the Phoenix. However, in Japan and Korea, where the Qilin is known as the Kirin, it is revered above all others. 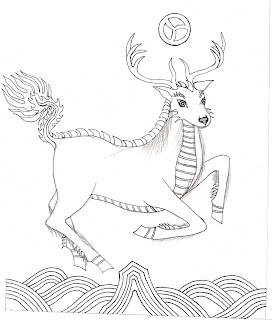 The Qilin represents longevity, grandeur, compassion and wisdom.